This weekend, for the first time ever on UK television Sky Movies are delighted to be showing all 23 James Bond films back to back from 7pm on Sky Movies Action & Adventure / HD. The Sky Movies Bond marathon will start with acclaimed documentary Everything or Nothing at 6.15pm before embarking on the first undercover mission with Sean Connery as 007 in Dr No. 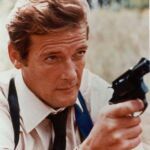 In the early morning of Saturday George Lazenby takes up the reins as England’s most famous spy in On Her Majesty’s Secret Service before Roger Moore brings his take on the secret agent in Live and let Die through to A View To A Kill on Saturday night. Next sees Timothy Dalton in The Living Daylights and Licence To Kill before Pierce Brosnan explodes into the role with Goldeneye on Sunday morning. Pierce sees us through into the afternoon before we embark on the James Bond of our generation, Daniel Craig. 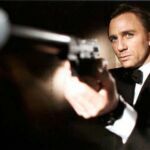 See Daniel Craig deliver a killer hand in Casino Royale, defend the earth’s natural resources in Quantum of Solace before coming to M’s rescue in the highest grossing Bond of all time, Skyfall. 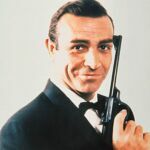 The films arrived on Sky Movies to coincide with the 50th anniversary of the franchise earlier this year, making it the first time in UK history that all of the Bond films were available to enjoy in one place. Bond fans can enjoy the movie marathon experience on the move by tuning in on Sky Go or, for those who can’t dedicate the entire weekend to the assorted adventures and escapades of Britain’s best-loved spy, the full catalogue of films will be available to enjoy at customers’ leisure On Demand at home and on the move with Sky Go. Flicks And The City’s Craig Macartney will be tweeting live from the event this weekend and you can join the conversation at #skymoviesbond.